Combine 2 1/2 cups boiling water and bulgur in a large bowl; cover and let stand for 1 hour. 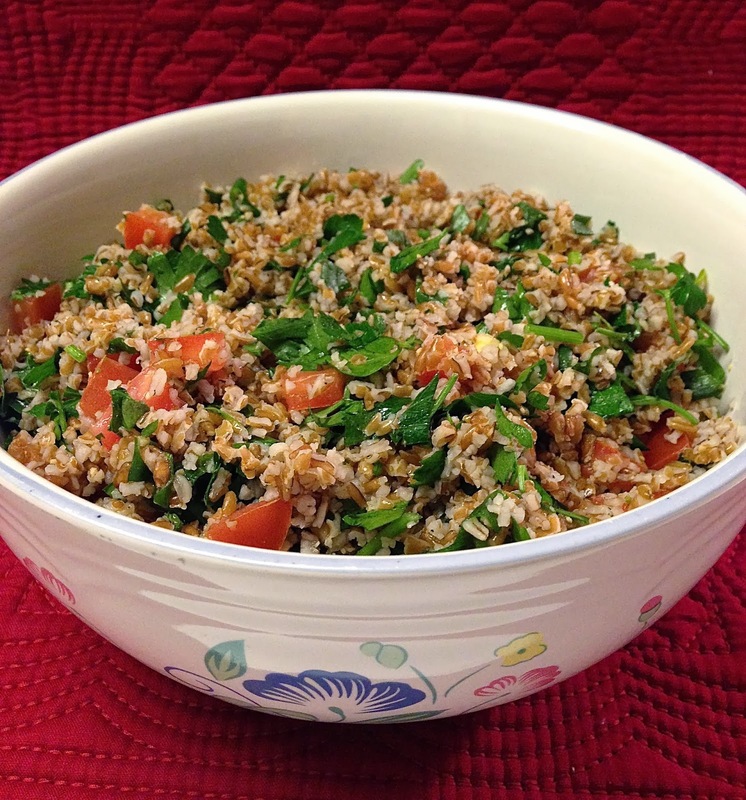 Add parsley and the remaining ingredients to bulgur and toss well. Cover and chill at least 2 hours (if you can). This was difficult for me as I started eating it right away. :) Enjoy! If you'd like a printer-friendly version of this recipe, Click Here.